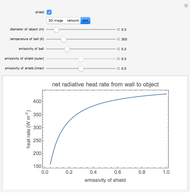 This Demonstration shows how a radiation shield affects radiative heat transfer to a ball. The ball, in the center of an enclosure, is the object that is shielded; you can remove the shield by unchecking "shield". The enclosure around the shield and ball is assumed to be a black body at a temperature of 600 K. The radiation shield diameter is 0.2 m larger than the ball diameter, and the shield is thin enough that conductive heat transfer can be ignored. 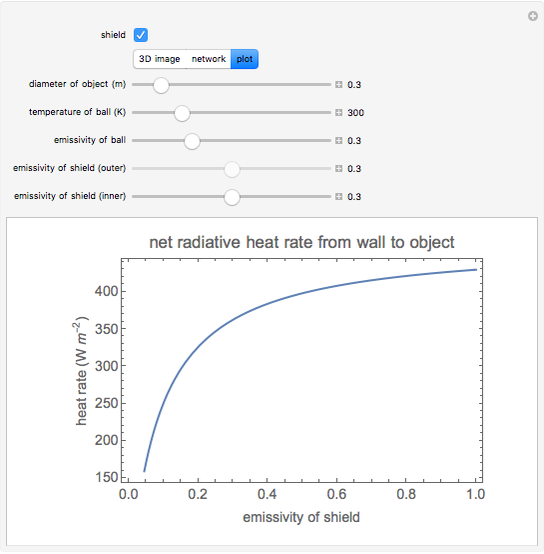 Use buttons to view a radiation network or a plot of the radiative heat transfer from the enclosure to the ball as a function of the emissivity of the shield. 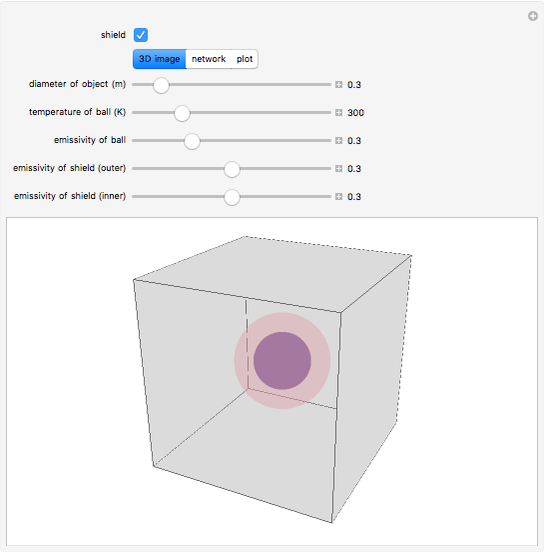 The plot is available only when "shield" is checked and a 3D physical representation of the ball and shield is shown on the plot. 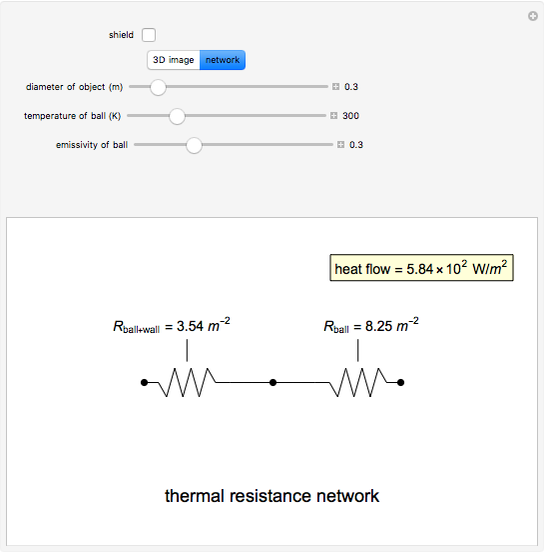 where is in , is the Stefan–Boltzmann constant ( ), and are the wall and ball temperatures (K) and is thermal resistance ( ). 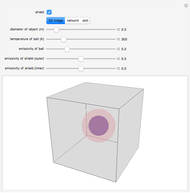 where is surface area ( ), is diameter (m) and is emissivity. 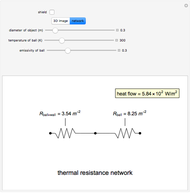 T. L. Bergman, A. S. Lavine, F. P. Incropera and D. P. DeWitt, Introduction to Heat Transfer, 6th ed., Hoboken, NJ: John Wiley and Sons, 2011. Mathew L. Williams "Radiation Shielding of a Spherical Black Body"